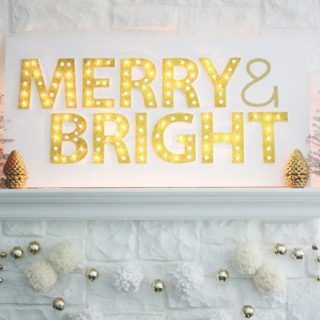 When it comes to DIY home decor, we get pretty enthusiastic over getting to make ourselves just about anything. 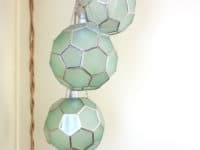 Because we’re constantly using our DIY skills to change the spaces around our homes, though, we find that we go through phases of fixating on one element after the other. 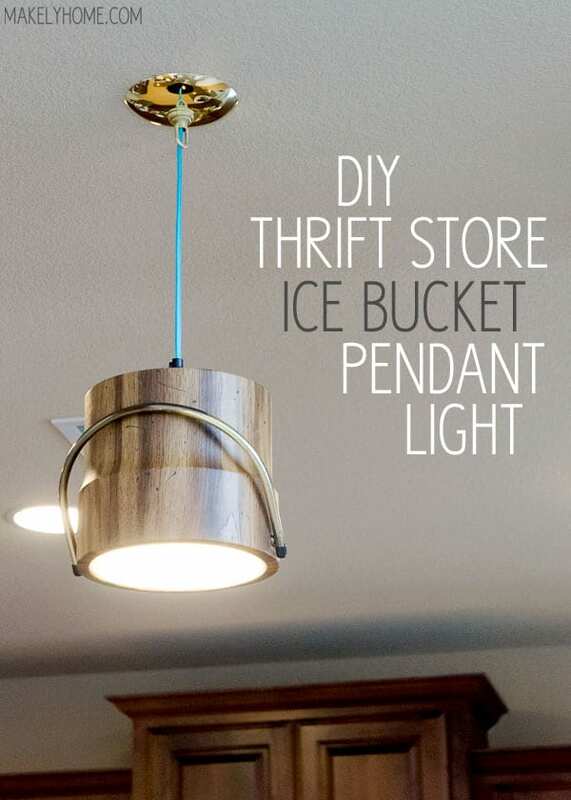 During any spare time we’ve had over the last few weeks, we’ve been browsing all kinds of awesome DIY pendant light options, saving our favourite ideas and figuring out what kind of look we’d most like to make. 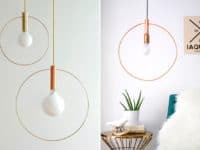 Just in case you’re just as enamoured with the idea of making your own pendant lighting as we were, if not more, here are 15 of the very best ideas, designs, and techniques we’ve come across so far! 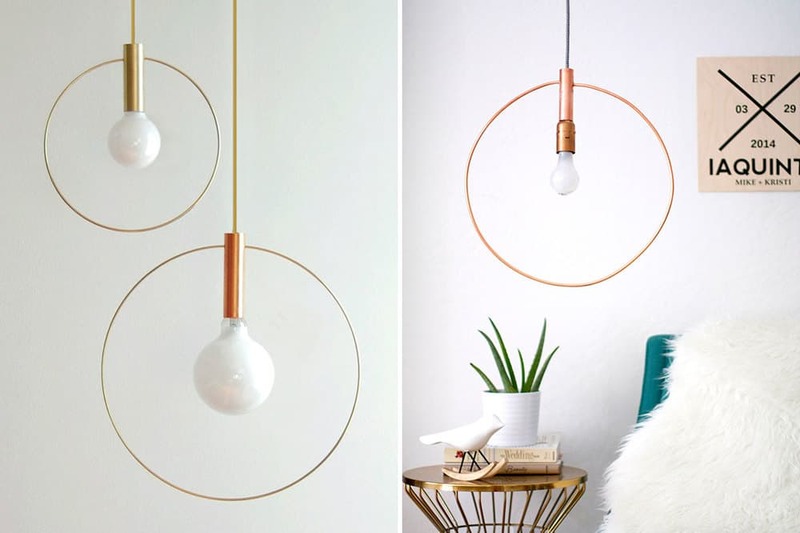 Have you actually already got a classic dish style pendant light that you enjoy very but because it lights your space very well, but you can’t help wishing it was a little more flashy or interesting looking than the way it came by default when you purchased it? 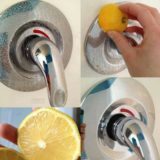 Then we think we’ve already found just the tutorial for you! 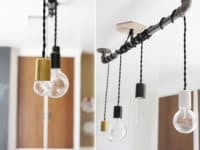 Check out how Lulu’s painted the inside of their lights’ shades with lovely metallic gold and then chose contrast colours for the outside of the shade and the hanging cords. 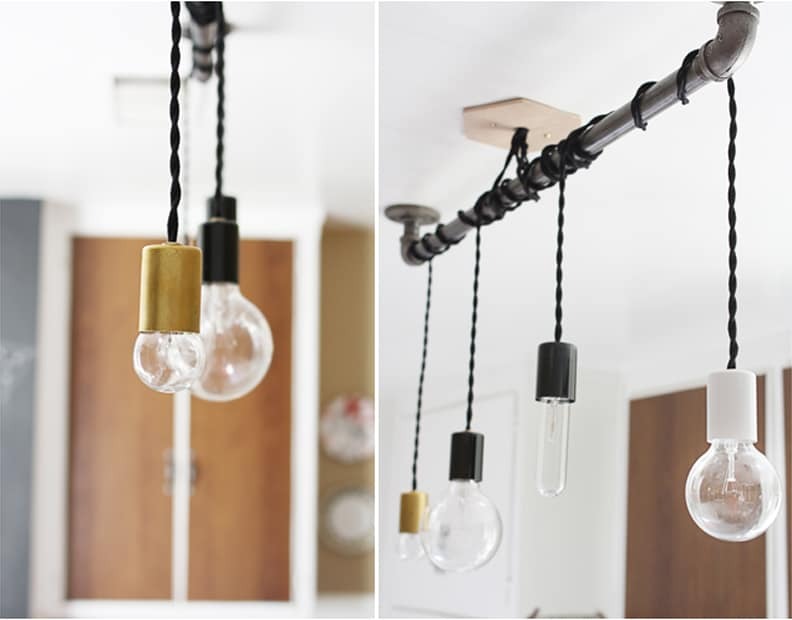 Have you actually spent the last few years carefully curating a wonderfully rustic chic aesthetic throughout your home, so now you’re looking for a similarly farmhouse inspired statement piece for your kitchen lighting? 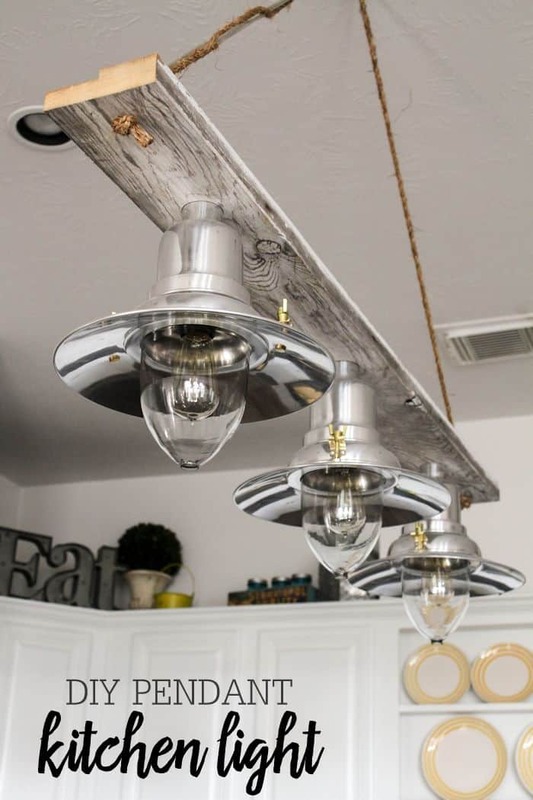 Then we’d absolutely suggest taking a look at the way Lil’ Luna used a 2×4 plank and some rope to mount three separate dish lights in order to create one larger, repurpsed piece. 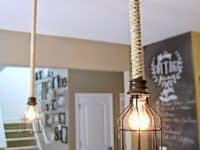 Have you actually always been a fan of the way exposed or simply caged light bulbs give off not only a lot of light but also an industrial chic aesthetic that’s very simplistic? Well, if you’re looking for a small detail that will soften the look a little and make it look more down home and less like a factory, here’s an easy method outlined on Blesser House! 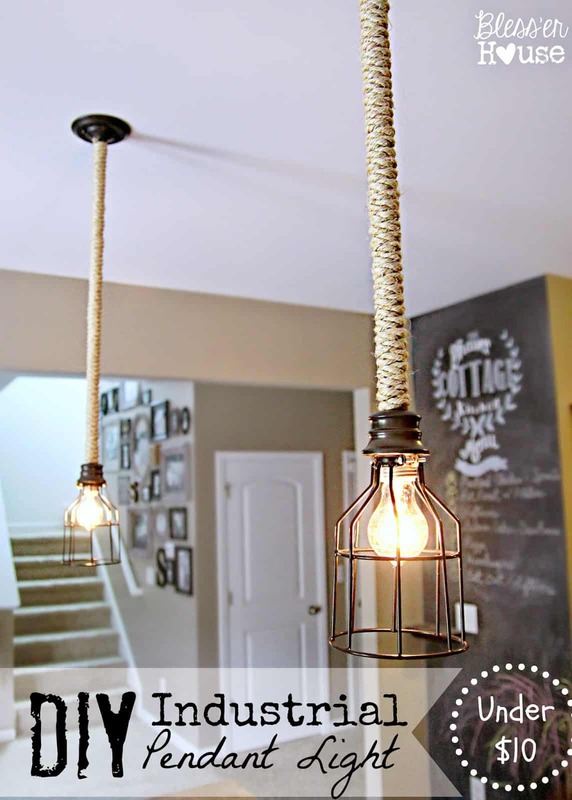 They suggest some simple rope wrapping all the way down the cord leading to the bulb and cage. 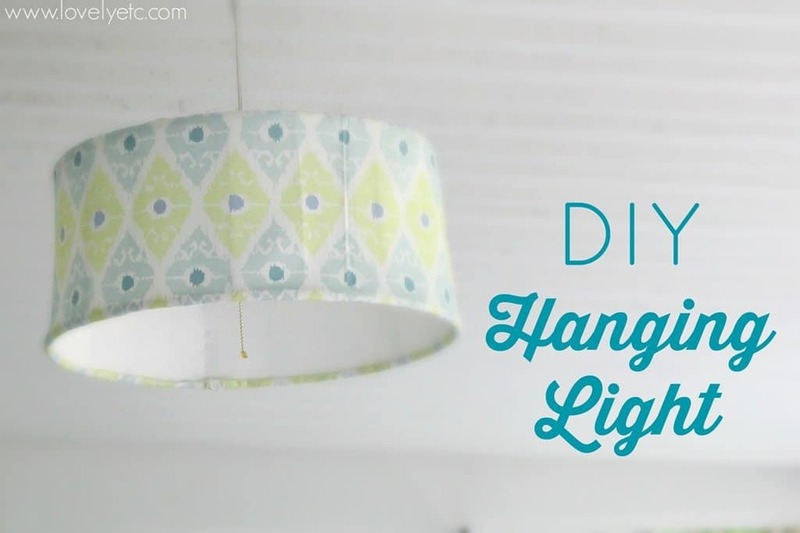 If you’re going to make yourself a hanging pendant light from scratch, would you prefer it to be one that’s a little more structured looking and much more uniquely crafty? 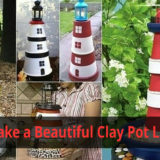 Then we’d suggest grabbing some white yarn or string and your papier mache supplies, because Chasing the Look has the perfect thing for your tastes! 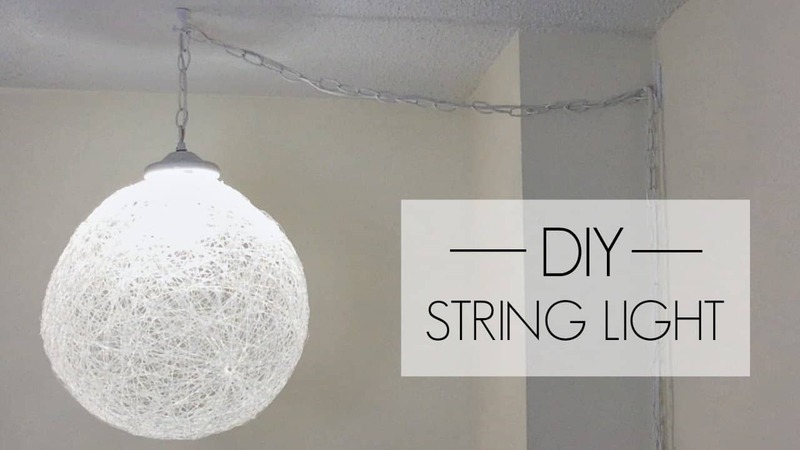 Check out how they wrapped a balloon in glue soaked string, let it dry, and then popped the balloon in order to create a web-like covering for your hanging bulbs. 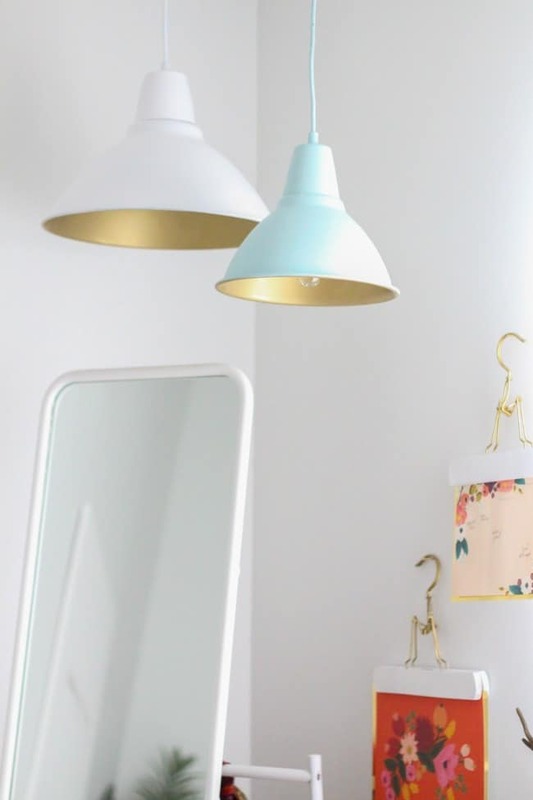 Were you very intrigued indeed by the dish style pendant lights we were talking about earlier and now, whether you painted them bright colours or not, you can’t stop thinking about whether or not you could make a set for yourself rather than buying them pre-made? 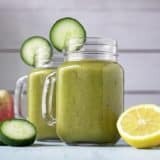 In that case, we’d absolutely suggest taking a look at how A Beautiful Mess did precisely that in just a few simple steps! 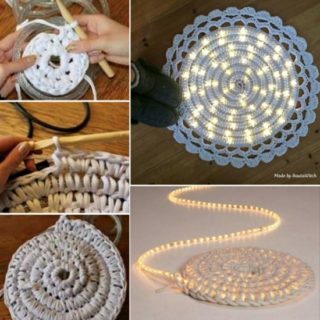 Are you actually quite interested in the wrapping style and aesthetic that you see in the yarn and string bulb covers but you’re also still more interested in a recycled or industrial aesthetic that you just won’t get by using soft materials? 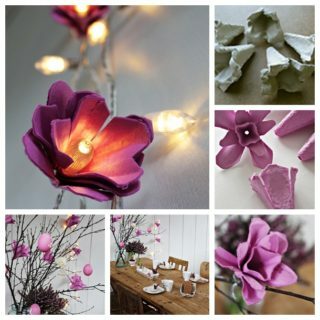 Then we’d definitely encourage you to take a look at how DIY Network did some malleable wire wrapping instead! 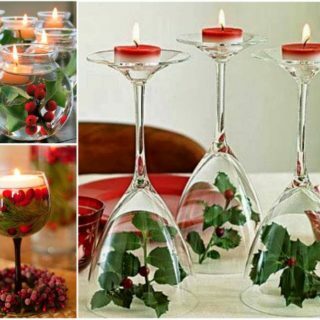 As if that’s not cool looking enough, they also guide you step by step through the process of safely cutting a top section off a series of wine bottles and transforming those pieces into translucent glass shade. When we said the words “industrial chic”, were you actually picturing something much more industrial than the slightly metal inspired looks we’ve shown you how to create so far? 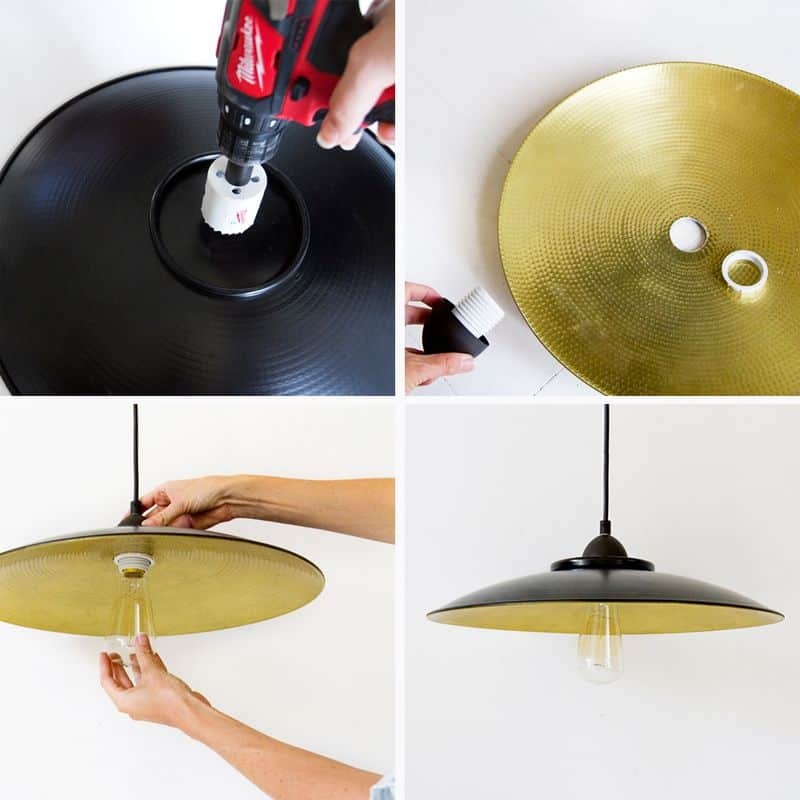 Then perhaps you’d prefer to go all out, try something much more challenging, and make an entire DIY concrete light ring that will really add a modern city feel to your space! 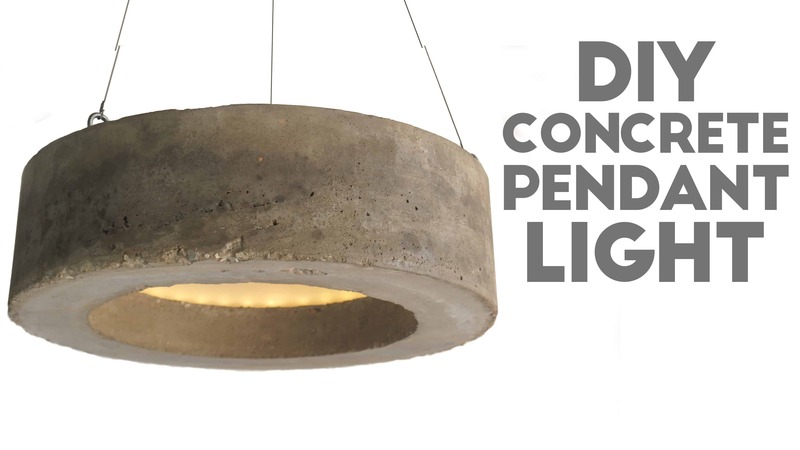 Get the full instructions for mixing, moulding, and mounting your concrete light shade on Modern Builds. 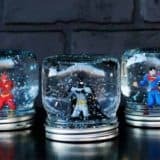 Are you still feeling pretty fixated on the dried yarn wrapping concept but you’re wondering whether yarn is the only option for that decoupage inspired look? Well, we have a feeling you’ll be pleased to learn that it’s actually not; you can do it with all kinds of fabrics and soft materials! 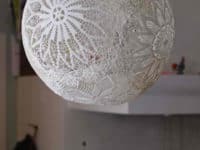 This stunning lace doily fabric decoupage shade, outlined step by step on Apartment Therapy, might just be our favourite thing on this entire list. 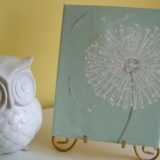 It’s so delicate looking and we love the way it casts patterned shadows on the walls when you turn the lights on! 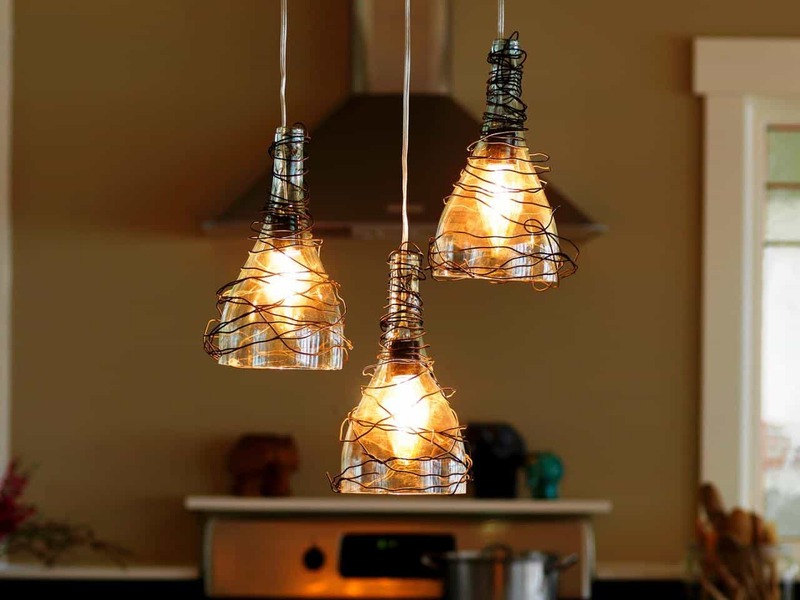 Did we really catch your attention when we started talking about wire bending techniques involved in making your own pendant lights but, in your head, you were actually picturing something a little more minimalist and modern looking than the half wine bottle project we showed you earlier? Then we’d absolutely suggest taking a look at this half circle wire pendant idea featured on Kristin Murphy instead! Are you actually still scrolling through the list but secretly thinking about fabric decoupage options as you do so? 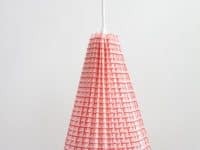 Then we have a feeling you’ll get along very well indeed with this simple, hanging fabric covered lampshade featured on Lovely Etc! They outline, step by step, all the instructions for getting not just an average coverage, but one that is extremely smooth and devoid of bubbles. 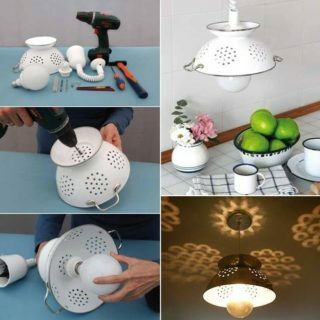 Were you actually quite interested in the idea of creating a hanging light cover from a glass piece, like we showed you with the wine bottle idea high up on our list, but you’re just not sure that you have access to that many wine bottles since it’s not a drink you and your friends enjoy? Perhaps it’s actually the glass cutting aspect of that project that puts you off a little bit. 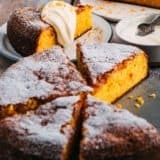 In either case, here’s an awesome alternative for you! 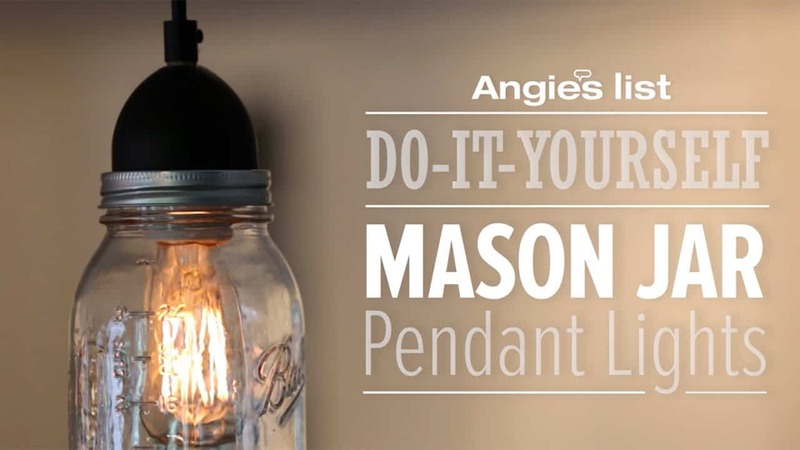 Angie’s List suggests creating your glass “shade” from mason jars instead. 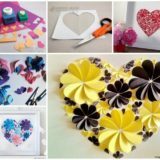 Are you the kind of crafter and DIY enthusiast who loves when people can tell that certain parts of your home were actually homemade, since you’re proud of showing off the piece around the house that you made yourself? 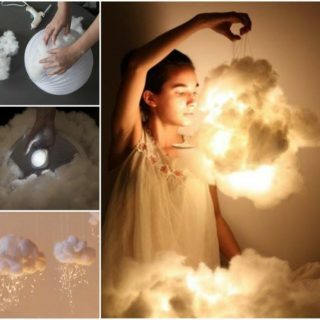 In that case, you simply must take a look at how Dreaming Inc repurpose some empty metal paint cans into hanging upside down pendant shades in a way that makes your love for art very explicit indeed. 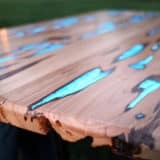 Are you still quite interested in the idea of making something industrial chic, but you’re just not quite settled yet on a specific design because you’re the kind of over-researcher who likes to consider all your options first? 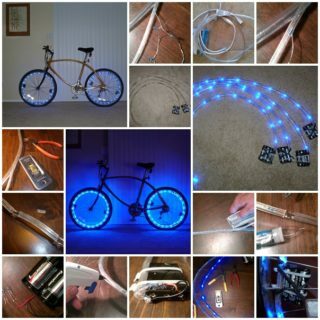 Then here’s another alternative for your list of potentials! 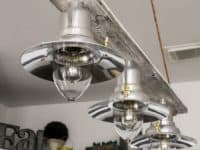 DMA Homes guides you step by step through the surprisingly simple process of mounting a pipe on the ceiling like a bar and winding exposed lights and their cords around it so they hang down at different heights. 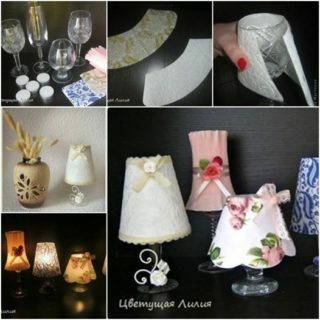 Were you perhaps feeling rather interested in the idea of making a pendant light and shade using fabric, but the decoupage ideas and technique we’ve shown you thus far just aren’t quite what you had in mind? 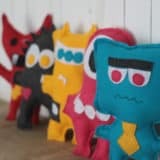 Then perhaps you’d prefer to work on something like structure fabric crafting or material origami! 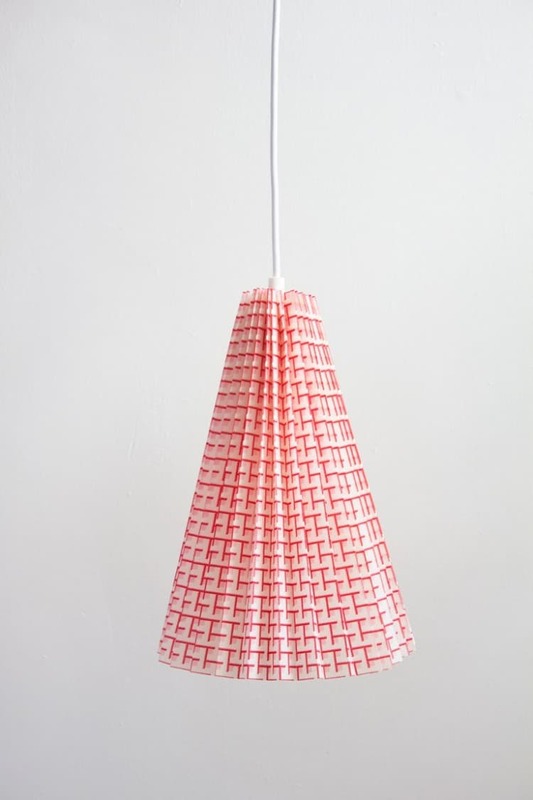 Just in case you aren’t quite sure what we mean, here’s a full tutorial for making this awesomely pleated no-sew fabric shade from Shelterness. 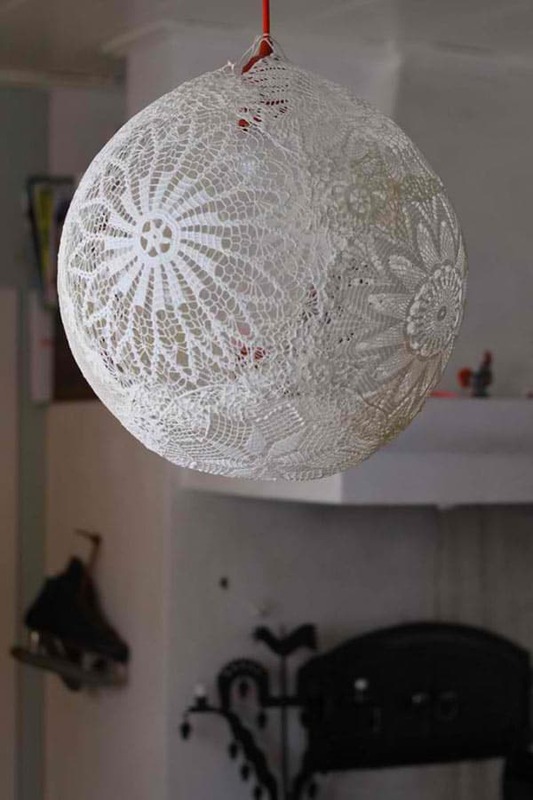 If you’re going to make something from scratch using upcycled elements, would you rather create a kind of pendant light that’s a little bit vintage inspired in its decor elements and shapes but still quite stylish? 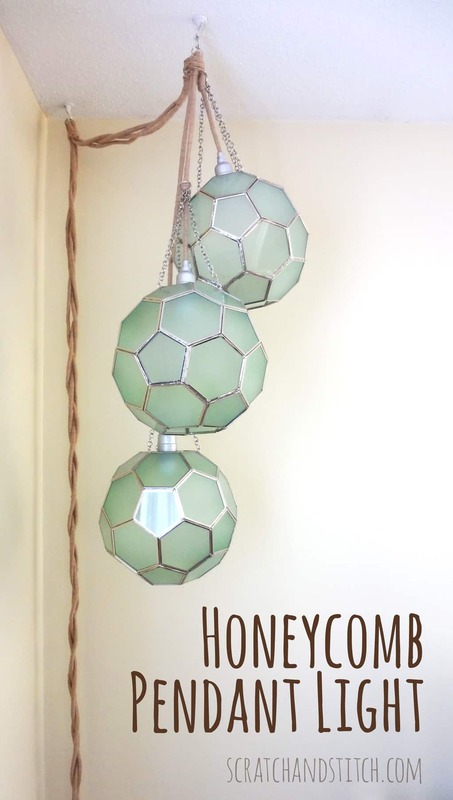 Well, if you’ve ever had an affinity for styles from the 1970s, then we definitely think you should take a look at how Scratch and Stitch made these silver and glass 3D honeycomb light covers that hang on pendant lights clustered in a corner.